CCDC previously owned several vacant parcels on Ash Street totaling approximately 0.75 acres. The site is adjacent to the Pioneer Pathway, the historic Hayman House, and a small public park and are within the River Street Neighborhood. A Request for Qualifications/Proposals for a workforce housing development was published in September 2016 with proposals due on November 15, 2016. The CCDC Board of Commissioners reviewed two complete proposals on November 29, 2016. The proposals were reviewed based on five criteria including neighborhood design and context, catalyst potential, investment, development schedule, and sustainability. On December 12, 2016, the Board of Commissioners chose to award the RFP to deChase Miksis to construct workforce housing. The deChase Miksis project proposes 23 townhouses with 3 bedrooms and one-car garages, and (8) 1-bedroom apartments with one reserved parking space each. For a period of time, this project will be rent-restricted to create workforce housing in a highly amenitied location. 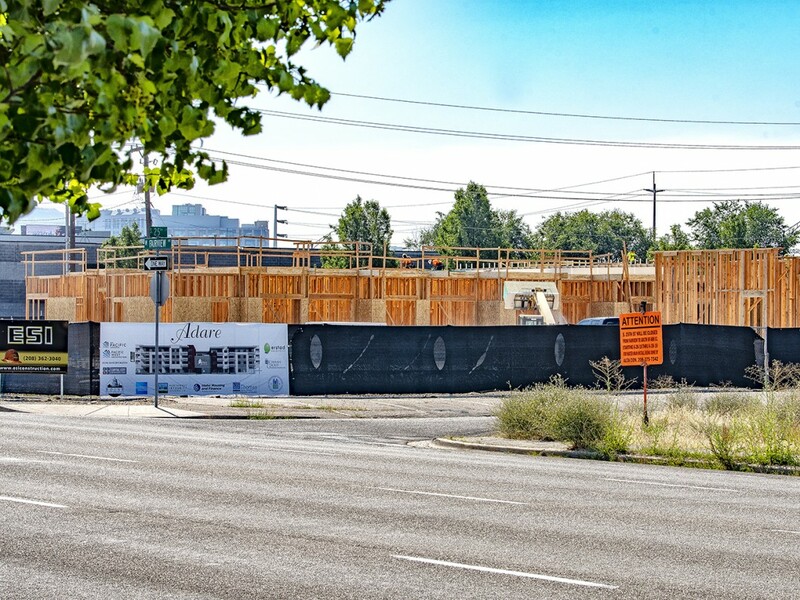 The project will connect residents to the Boise River and Downtown, as well as pay homage to the Hayman House and the history of the neighborhood. The Disposition and Development Agreement was executed in the November 11, 2017 CCDC Board Meeting. As Boise’s Redevelopment Agency, CCDC has the ability to buy underutilized properties for the purpose of redevelopment. Through a public and competitive Request for Proposal process, CCDC finds private developers who are willing to take on a catalytic project. These types of projects would likely not be possible without the financial participation of CCDC. CCDC Real Estate Development Manager, Shellan Rodriguez, is managing the Ash Street project. For leasing information, please contact Taylor Grange.